The journal's language is English. Before submitting the paper, please make sure that the language is correct. Some corrections of syntax and spelling can be made by our language editor. Name, affiliation, exact postal and e-mail addresses of the authors, and the indication who is the corresponding author. Text, divided into numbered sections. Teisseyre, R., and M. Górski (2007), Physics of basic motions in asymmetric continuum, Acta Geophys. 55, 119-132, DOI: 102478/s11600-006-0008-4. Lilensten, J., and J. Bornarel (2006), Space Weather, Environment and Societies, Springer Verlag, Dordrecht, DOI: 10.1007/1-4020-4332-5. Moriya, T., and R. Teisseyre (2006), Design of rotational seismometer and non-linear behaviour of rotation components of earthquakes. In: R. Teisseyre, M. Takeo, and E. Majewski (eds. ), Earthquake Source Asymmetry, Structural Media and Rotation Effect, Springer, Berlin, 439-450. Nikolaevskiy, V.N. (1998), Tectonic stress migration as nonlinear wave process along earth crust faults. In: T. Adachi, F. Oka, and A. Yashima (eds. ), Proc. 4th Inter. Workshop on Localization and Bifurcation Theory for Soils and Rocks, Gifu, Japan, 28 Sept. - 2 Oct. 1997, A.A. Balkema, Rotterdam, 137-142. Accuracy and completeness of references are the responsibilities of the author. References in the text should consist of the name followed by the year of publication in parentheses (if more than 2 authors, please give the first author's name followed by et al. and year). All references cited in the text must be included in the reference list, and vice versa. Figures must be submitted in electronic file, preferably saved as eps, jpg, cdr, tif. We can not accept figures created in Microsoft Word, WordPerfect, Excel as they are low-resolution graphics, not suitable for reproduction. The resolution for graphic files must be: 250-300 dpi for colour and grey scale images, 600-900 dpi for black and white only. Line weights and lettering should be suitable for reduction. Please consult the recent issue of our journal as to the size of the figures. Tables should be created with Word's Insert Table function. Avoid tables built with tab key or as pictures. Tables should be numbered consecutively with Arabic numerals and referred in the text. The header should be placed on top of the table. Please make sure that the size of the tables is adequate to the layout of the journal's page (16x24,7 cm). All manuscripts are peer-reviewed by at least two referees and will not be processed further until favorable referees' reports are obtained. Blind Peer Review system is applied. 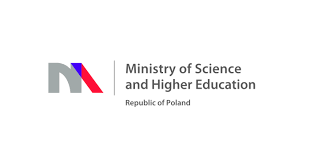 Once the review/revision process is finished, and the paper is accepted for publication, the corresponding author may be asked to prepare its final version, according to the template available at: http://pub.igf.edu.pl/. We will then inspect it and make some editorial adjustments (if necessary). The pdf file will be sent back for proof-reading. "Publications..." publishes original papers relating to all disciplines of geophysics. All manuscripts are peer-reviewed by at least two referees and will not be processed further until favorable referees' reports are obtained. The journal does not have article processing charges nor article submission charges. The author who submits a manuscript for publication accepts the responsibility of having included as co-authors all persons that are appropriate and none that are inappropriate. "Publications..." is a member of CrossCheck by iThenticate. iThenticate is a plagiarism screening service that verifies the originality of content submitted before publication. The iThenticate software checks submissions against millions of published research papers, documents on the web, and other relevant sources. iThenticate plagiarism detection software used by "Publications ..." makes plagiarism more detectable and the number of reported incidents of alleged plagiarism is growing. We are expecting reviewers to report all signs of plagiarism. 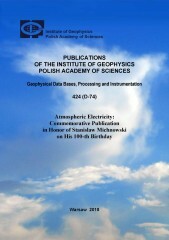 "Publications of the Institute of Geophysics, Polish Academy of Sciences" is an open access journal. Open access is the free immediate access to, and unrestricted reuse of, original works of all types by any user. Therefore, all content of GI and GID is distributed under the Creative Commons Attribution 4.0 International License (CC BY 4.0) and authors retain copyright. "Publications..." recommends depositing data that correspond to journal articles in reliable (public) data repositories, assigning digital object identifiers, and properly citing data sets as individual contributions. The correct citation abbreviation is the following: Publs. Inst. Geophys. Pol. Acad. Sc. The following licence is important for any article submitted. document as separate file with your paper by our submission system. Please submit you manuscripts to Publications via email to Editor-in-Chief pub@igf.edu.pl.